If your child suffered a birth injury in Chicago as the result of medical negligence, hiring a birth injury attorney can be the most important step you take to help secure the compensation you need to cover the anticipated costs of your child’s future care. Because birth injuries fall under the category of medical malpractice, they are notoriously difficult to prove. Having the right attorney can be vital to the success of your case. What Makes a Good Birth Injury Attorney? How Much Does a Birth Injury Attorney Charge? What Should I Do If I Suspect a Birth Injury Case? What Does a Birth Injury Attorney Do? What Are the Highest Birth Injury Attorney Settlements in Chicago? 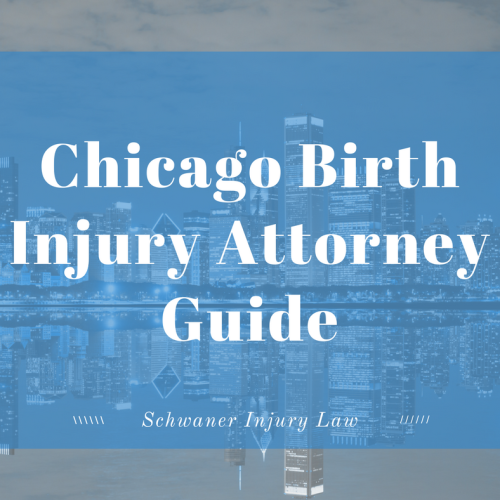 Why is the right Chicago birth injury attorney so important? Despite laws that are designed to protect medical professionals more so than injured clients, doctors and hospitals will be armed with experienced legal teams as well as countless experts to testify on their behalf. They will also often go to great lengths to prove that the doctor who delivered your baby was not at fault, including using experts who will lie on the stand in order to protect another medical professional. An attorney with tenacity will know what to expect and will be prepared to fight those opponents and win. Experience. Because medical malpractice lawsuits can be so complex, it’s important to choose an attorney with experience handling such cases. An attorney who has already handled cases similar to yours will be armed with the knowledge required to win your case. An experienced birth injury attorney will also have access to respected medical experts to help define your case in court, better proving medical negligence. A Specialty. 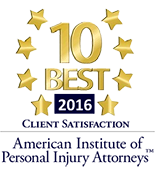 Some attorneys may handle a wide range of cases, while others specialize in specific areas of the law. Hiring an attorney who specializes in birth injuries will ensure that your lawyer is armed with the latest medical and legal information to help your case. Communication. If you can’t contact your attorney when you have questions regarding your case, you will likely lose faith in him or her as your legal representative. A good attorney will remember that they are working for you, and will be accessible when needed. The right attorney will not only return calls and emails in a timely fashion, but will also keep you abreast of any new updates in your case. Adequate funding. Medical malpractice cases can be costly, especially so when lining up medical experts to help back your claims. While a small practice might seem attractive due to the attention they can give your case, a larger firm will have the resources necessary to cover any costs associated with your case, improving your chances of prevailing in court. According to Illinois law, medical malpractice attorneys are legally limited to charging a contingency fee of up to 33 percent. While they were previously able to charge higher fees in certain situations, the law has now capped those fees. Birth injury lawsuits are unlike other medical malpractice cases, which have a two-year statute of limitations for filing a lawsuit. Because disabilities may not be immediately detectible at birth, birth injury lawsuits can sometimes be filed at any point before the child reaches adulthood. In cases where a child recovers from a disability, the two-year statute of limitations does not go into effect until after the recovery. If no recovery is possible, the window to file a lawsuit remains open indefinitely, although they must be filed by the time the child reaches the age of 21. Still, because documents, witnesses and other information that will be vital to a successful medical malpractice lawsuit can potentially be lost over time, it is important to file a lawsuit as soon as you are able to do so. While caring for the health of your baby should be your first priority if you suspect a birth injury, there are some steps you should take following the birth if you believe the injury was the result of negligence. Watch your child’s development. If your child suffers from developmental delays, it could offer evidence of a birth injury. Getting a second opinion from a doctor not affiliated with those who assisted in your baby’s delivery could be helpful in understanding what to expect. Talk to an attorney. If you believe your child has suffered a birth injury, an experienced attorney will be able to investigate your case to better determine if the health care professionals assisting in your birth provided adequate care to you and your baby. Having an attorney will give you piece of mind knowing that you are not alone. Keep meticulous records. In order to successfully recover the costs associated with your child’s care, it’s important to retain records of every consultation, medical bill, medication, appointment or referral. Keeping a journal of your baby’s progress can help you prove developmental delays, so a written diary will also be helpful. Be prepared for scrutiny. While laws protect a doctor’s personal history from being used in court, a plaintiff’s life will become an open book. Understand that anything you say to others regarding your case could potentially become part of your case, so use your words carefully in depositions or when meeting with expert witnesses. Anything you say or do can be used against you in court, even though you and your family sustained the injuries. A birth injury attorney handles cases involving birth injuries that are filed against doctors, nurses or hospitals whose negligent actions resulted in the injury of a child who would have otherwise been born healthy. While every case is different, in general, there are a variety of things that go into handling birth injury cases. The most important part of a birth injury attorney’s job will be evaluating all aspects of a case, making sure that the case has merit and has the potential to be successfully pursued in court. Before a case is filed, birth injury attorneys will hire a certified life care planner who will estimate the lifetime costs of a child’s care based on medical records. That information will be used in court as a way to show why a certain settlement amount is being pursued. If a case has merit, a birth injury attorney will then file a formal complaint against the defendant in civil court. After a formal complaint is filed, the attorney will then gather evidence including depositions from witnesses, documents and medical experts. With evidence in hand, birth injury attorneys will often successfully negotiate a settlement with a defendant without taking a case to trial. If no settlement is reached, a birth injury attorney will then begin planning for litigation in court. Chicago-area juries take birth injuries seriously, and families are often awarded sizeable settlements in order to cover the costs associated with those injuries. In some cases, however, when attorneys are able to negotiate a settlement before a case goes to trial, a jury never hears a case. That’s why hiring the right attorney is such an important part of any birth injury case. Some important Illinois settlements reflect that. In 2013, Franciscan Health, a Chicago Heights hospital, paid $15 million to settle a birth injury lawsuit for a girl who suffered significant brain damage during her birth. The suit alleged that an overdose of the labor-inducing drug Pitocin caused excessive contractions that cut off oxygen to the girl’s brain. The hospital settled without admitting liability. In 2016, a Cook County jury awarded $53 million – the largest birth injury verdict in the county, experts said – to a 12-year-old Hickory Hills boy and his mother after the boy was born with cerebral palsy at the University of Chicago Medical Center. The lawsuit alleged more than 20 different mistakes on the part of medical professionals, including failure to take action when abnormal fetal heart rate patterns suggested oxygen deprivation. In 2004, a jury awarded a family $35 million after a 5-year-old boy was born with birth injuries due to a delayed caesarean section, the result of the anesthesiologist failing to respond for 45 minutes after being paged because he was in a private room in the hospital with an off-duty nurse. At the time, it was the largest birth injury verdict in the county. In 2001, an Illinois judge approved a $15.35 million settlement after a child suffered severe brain injuries due to the repeated unsuccessful use of a vacuum extraction device. It wasn’t until the device was attempted 18 times that the physician ordered a cesarean section, too late to prevent brain injuries. If your baby suffered an injury at birth that you believe was the result of negligence on the part of your doctor or another medical professional, an experienced Chicago birth injury attorney can help. Your initial consultation is free, and you won’t pay a fee until we win your birth injury case in court.